Providing In-Home Care services for over a decade. Acti-Kare is a leading in-home care provider across the United States. For over a decade, our franchises have personalized in-home care services around your loved one and the family. This allows you or your loved one to receive superior care in the comfort of their own home. A home is something you build over years and years of your life. You form bonds, make memories, and experience life in your home. So it is understandable why it is so important for your elderly family members to want to stay in their home even when they may not be able to do it alone. This is where Acti-Kare can help your family. Acti-Kare provides top of the line in-home care from our trained and professional caregivers for your loved ones in need. Whether it be handling grooming and hygiene such as showering or handling nutrition, Acti-Kare is here to support and enrich the physical, mental, and emotional well-being of your family member in need right from the comfort of their own home. Acti-Kare’s trained in-home caregivers will provide help with your loved one’s personal care needs in the home. One of the most significant personal care issues is grooming and hygiene. This can become a frustrating and challenging task to many with physical and cognitive limitations. With a trained Acti-Kare caregiver in the home, your loved one will get assistance with everything from showering and bathing, to shaving, and brushing teeth. Keeping up with regular hygiene is very important to the physical and mental health of your loved one, and with Acti-Kare it will never be an issue. Acti-Kare caregivers also understand the sensitivity and discretion required when dealing with toileting and other incontinence care needs. Not having proper assistance with these issues can lead to many things from unpleasant odors to severe skin infections. With in-home care provided by Acti-Kare, your loved one will get the care and attention needed while maintaining respect and sensitivity. Remaining active in the later years of your life is a great way to stimulate your body and mind and is very important. This has become an essential part of the Acti-Kare service. Starting with transferring and positioning within the house, Acti-Kare’s trained caregivers help your loved one stay mobile within their home. Many elderly people with physical limitations are at risk of bedsores, muscle atrophy, and breathing and digestive problems. Staying in one position in bed, seats, and wheelchairs for too long can increase these risks. This can be remedied by having an Acti-Kare professional in the home. Helping your loved one change positions move throughout the house every day is a top priority of your Acti-Kare in-home caregiver. On top of staying mobile within the home, it is essential for your loved one to remain mobile outside the home and live their golden years the way they want. Acti-Kare’s trained caregivers ensure that your loved ones get from place to place with safety and comfort. Nutrition and diet are vital in your loved one’s golden years but can be challenging to manage on their own. Your loved one may not be able to cook anymore, they may not be able to eat certain foods, or they may be on a special diet for medical reasons such as diabetes. Maintaining a nutritious diet can help the physical and mental well-being of your loved one in their later years. Whether your loved one needs assistance preparing and cooking meals or sticking to a prescribed diet for health reasons, Acti-Kare’s trained caregivers can make meals a positive experience. On top of keeping up with nutrition, Acti-Kare’s trained caregivers can make mealtime a social and mentally stimulating part of the day. Giving your loved one a companion to spend meals with engaging in conversation can make all the difference in the world. Staying socially engaged in public as well as in the home is a critical part of your loved one’s life and can help reduce the risk of depression and other cognitive issues. Whether it be out at the grocery store or right in their living room, Acti-Kare caregivers provide your loved ones with friendly companionship that help keep them stimulated and engaged in their everyday lives. 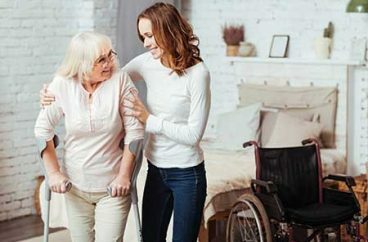 General housekeeping is another everyday task that can become difficult in the later years of your loved one’s life due to physical or cognitive limitations. Acti-Kare’s trained caregivers provide housekeeping services that include: Vacuuming, sweeping, organizing closets and drawers, dusting, mopping, and anything else the home may need. Acti-Kare caregivers can also take over any, and all laundry needs your loved ones may have from washing and drying to ironing and putting away clean clothes. Acti-Kare caregivers also understand that getting around town can become very difficult in the later years of your loved one’s life. To help with this, caregivers can perform everyday errands such as grocery shopping, picking up medications, and going to the post office. Your loved ones can even accompany our caregivers to stay active and enjoy social time with others. Acti-Kare is dedicated to helping your loved one enjoy their golden years in their home where they feel happy and safe. From assisting with medication pick up, and reminders, personal hygiene, and grooming, to ample social stimulation, Acti-Kare’s trained caregivers are here to provide your loved one with any in-home care needs. We also provide In-Home Care Services in the following areas: 24 Hour Care, Bathing Assistance, Dressing Assistance, Light Housekeeping, Meal Preparation, Live–In Care, Errands and Shopping, Walking assistance, Memory Stimulation, Positive and enjoyable Companionship, Respite Care for Family Care Givers, Long Term Care, Transportation, Weekend Care, Holiday Care, Home Recovery Care, Post-Surgery Care, Infant Care, Mommy to Be Care, and Pet Care. When selecting an in-home care provider, it is important to choose someone you trust that focuses on your loved one as well as the members of the family. When you select Acti-Kare as your in-home care service provider, we will meet with your family personally, and review their needs. Our franchise owners are trained to consult with your loved one’s physicians, social workers, hospitals, nursing home staff, as well as groups and even religious affiliated communities. We do this to create a complete picture of your loved one’s current community. This helps us develop a unique and even more personalized care plan for your loved one. Our franchises are trained to provide you and your loved one with superior in-home care, while also promoting an active mental, spiritual, and physical lifestyle. Our in-home care services will help your loved become comfortable at home. Remember, when you can’t be with your loved one… We Can. 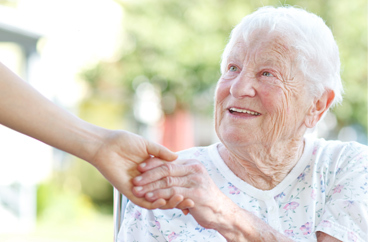 Acti-Kare In-Home Responsive Care has over ten years of experience caring for seniors and their family members. Over the course of a decade, we have developed robust caregiver training programs, that have built on research and understanding. Our Acti-Kare caregivers are trained to be compassionate, and promote an active lifestyle. We will always provide your loved one with superior care from trained professionals. 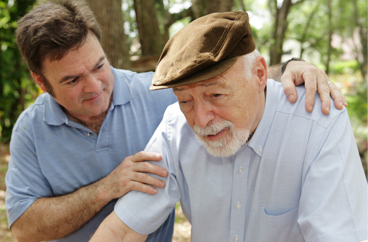 To request in-home care services fill out our request form above or call 888-451-5273.